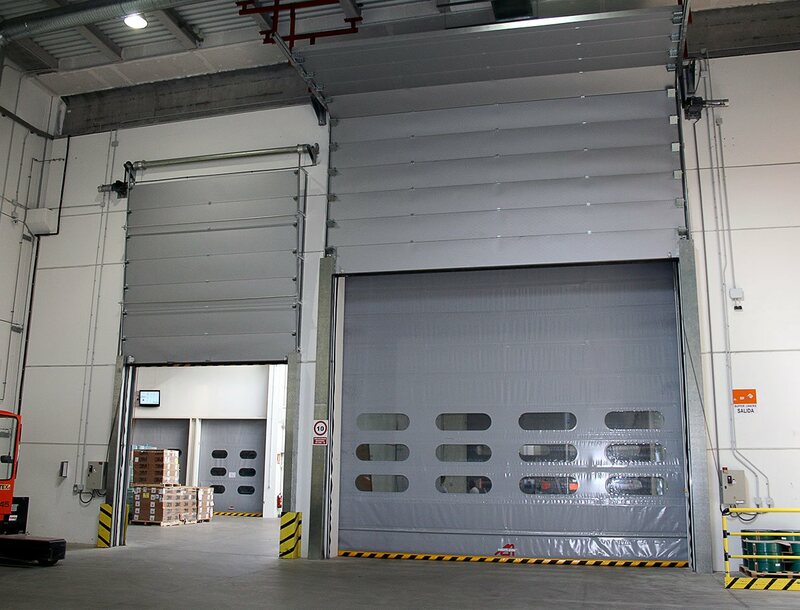 The Vl Doors are vertical stacking high speed doors specifically designed to help reduce air leakage. 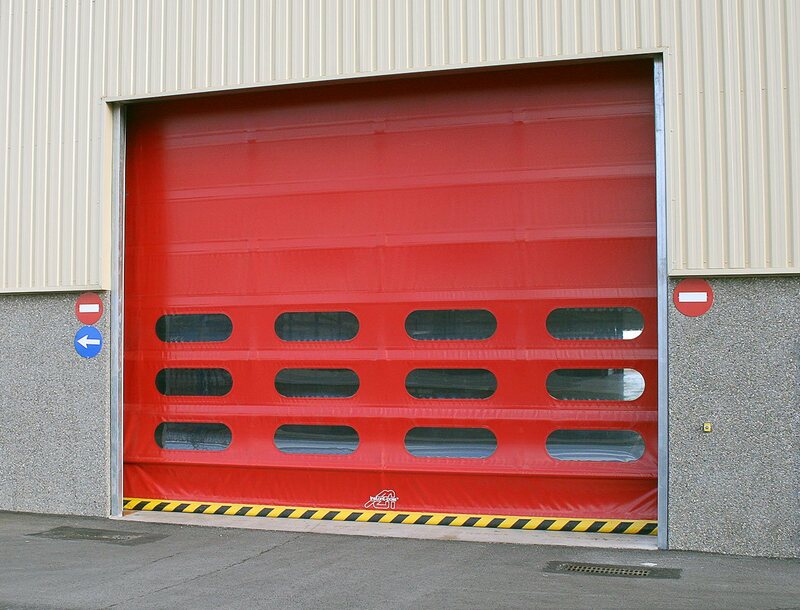 Manufactured from robust, tear resistant PVC, the door has a temperature resistance of -30°C to +70°C. 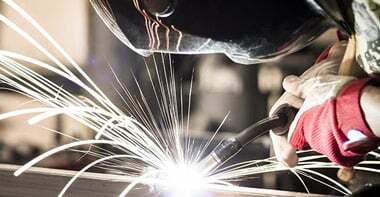 Electric operation and state of the art safety features as standard. Recommended maximum width up to 9,000mm. 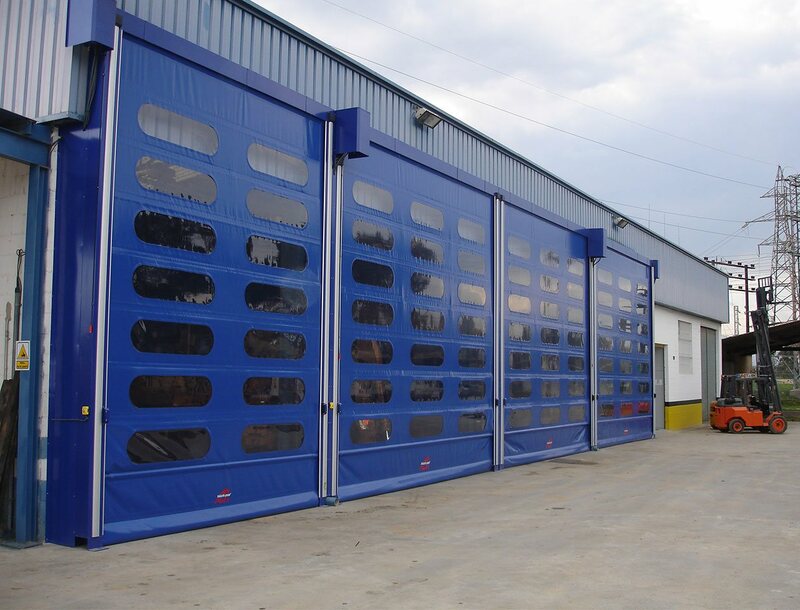 Air leakage in industrial premises is a costly expense and ensuring you have the correct doors in operation is critical to costs. 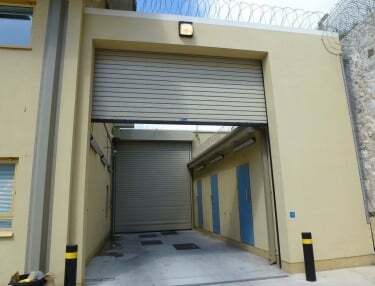 The VL high speed door is a rapid operation door allowing access to the premises by the most efficient means due to limiting the time the door is held open. The hard wearing composite PVC provides a defence against thermal change from room to room or outside to inside of industrial premises. Tested to -30°c to + 70°c and a thermal conductivity of 0.045w / M2Co. 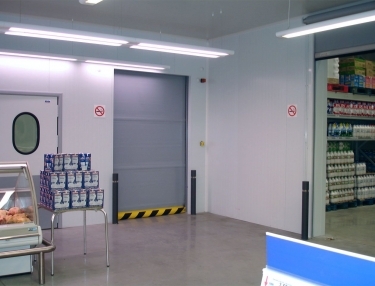 The VL high speed door is commonly used in food premises, breweries, refrigeration and freezer rooms, transport premises, automotive manufacturers, conveyor belts, pharmaceuticals industry, paint rooms, waste sorting, car washes, hangers, warehouses, gantry and cranes. 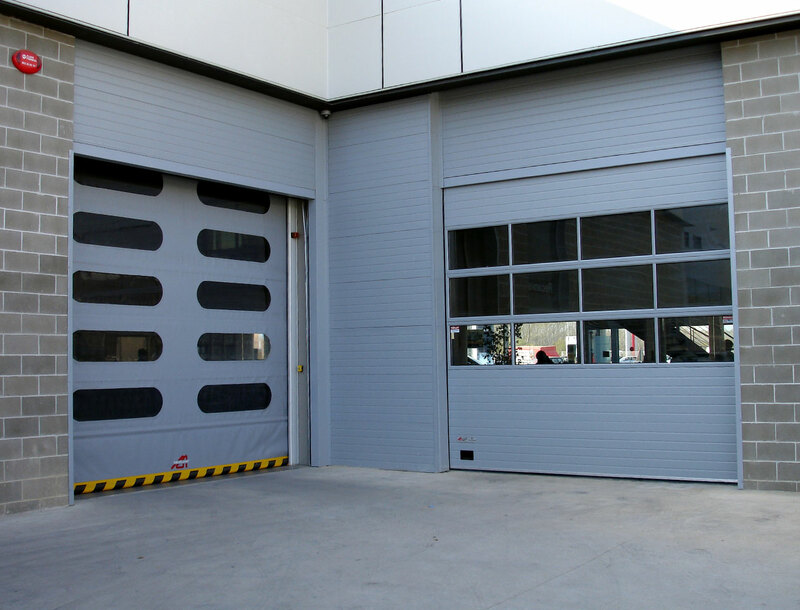 The VL high speed door is a vertically stacking door suited to outdoor applications having to withstand high air streams and windy conditions, the adaptable design means it can be altered to many site requirements. 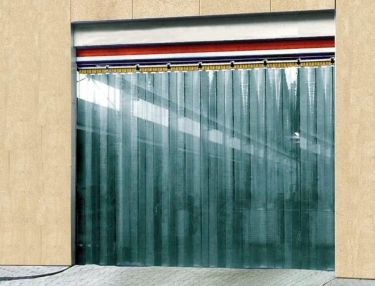 The PVC curtain is a robust compound that is resistant to tearing. Aluminium bars reinforce the curtain sections which are welded into the seams of the curtain to allow stacking and durability. Resistance to tearing 70/55 daN. Resistance to breaking 420/400 DaN DIN 53354 – ISO 1421. HAG std colours. RAL1018 Zink Yellow – RAL2004 Pure Orange – RAL3002 Carmine Red – RAL5010 Gentian Blue – RAL7038 Agate Grey. Canvas – Red Ral 3002, Yellow Ral 1003, Green Ral 6026, Blue Europa 95, Anthracite Ral 7016, Window Grey Ral 7040, White Ral 9003, Ivory Ral 1014, Orange Ral 2004, Vermilion Ral 2002, Black 9005, Brown Ral 8016, Grey 9006. Varying from M1 to M3 self extinguishing fire resistance. 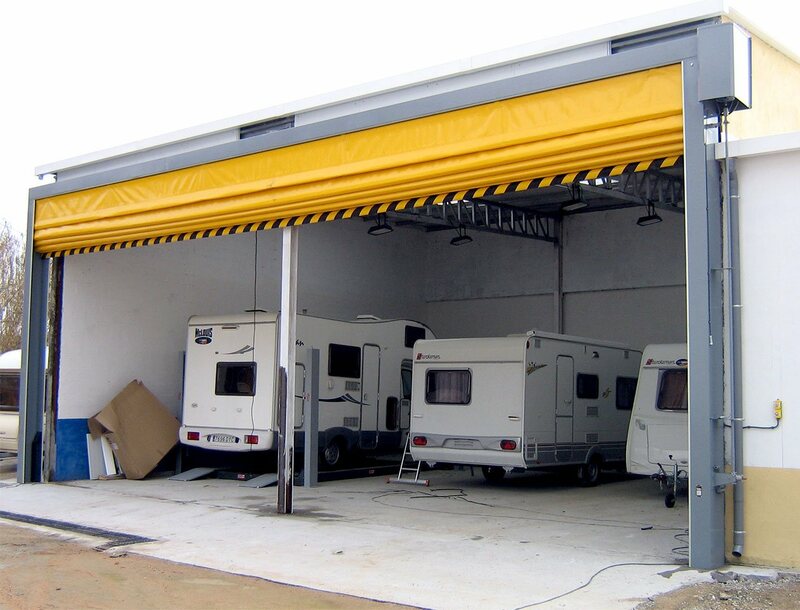 The door frame is a reinforced self bearing galvanised steel frame that supports a steel shaft housing aluminum bearings and drums. 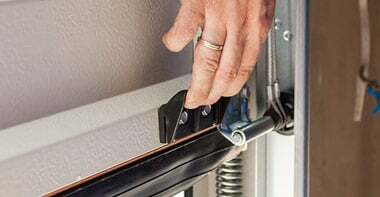 The frame connects to the curtain through aluminium pulleys that roll traction belts and lifts the curtain. 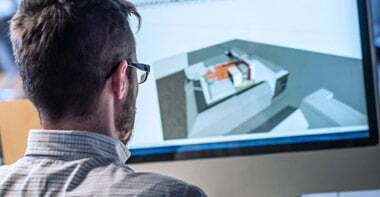 Inside the door frame guides, a ramp is incorporated to ensure centering of the curtain is maintained on every operation. 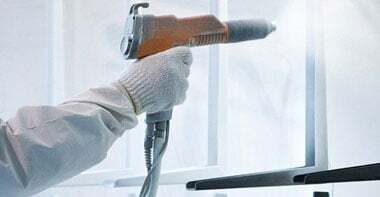 All sides are protected by nylon brushes to avoid scratches on the canvas when running. 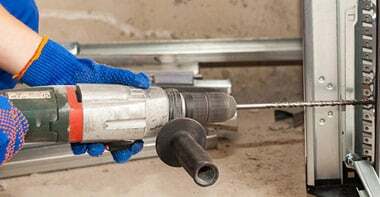 Single phase electric irreversible geared motor used in conjunction with a heavy duty electric brake and limit switches to allow quick and accurate stopping of the door. 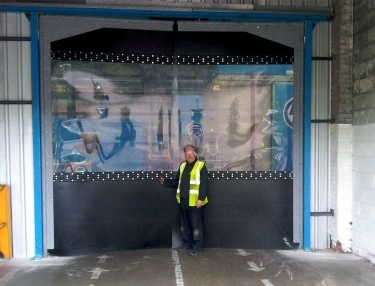 The power of the motor will vary dependent on the size and specification of the door. In the event of power loss there is a manual operation through either chain or hand crank. Control Panel with open/close/stop push buttons with a built in timer, can be linked to several control devices such as photocells, switches remotes etc. An integrated self monitoring safety light grille in the closing zone to a maximum monitoring height of 2500mm is fitted as standard. This provides non contact safety within the closing zone and renders a safety edge redundent. Operation warning lights operated two seconds prior to opening or closing. An anti dragging photocell is positioned to detect obstruction between the traction belts and the panels.